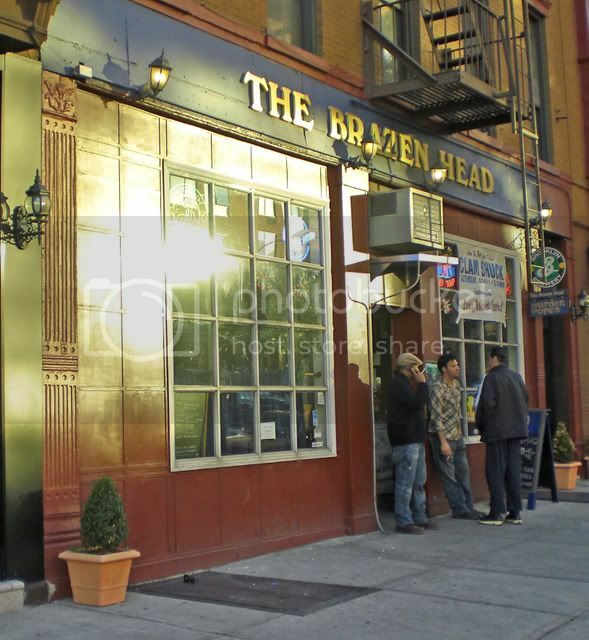 Last Saturday The Brazen Head hosted a Clam Shuck that was sponsored by Long Island Beers, and how could you miss out on something like that. The Mysterious Chinese Woman and I decided to head over fairly early because I wanted to make sure I got there before the the clams ran out. Heh Heh, a little clam humor there. Clams don't have legs, so they can't run out. Well, I don't know if they would have run out of anything, but the place was already quickly filling up. 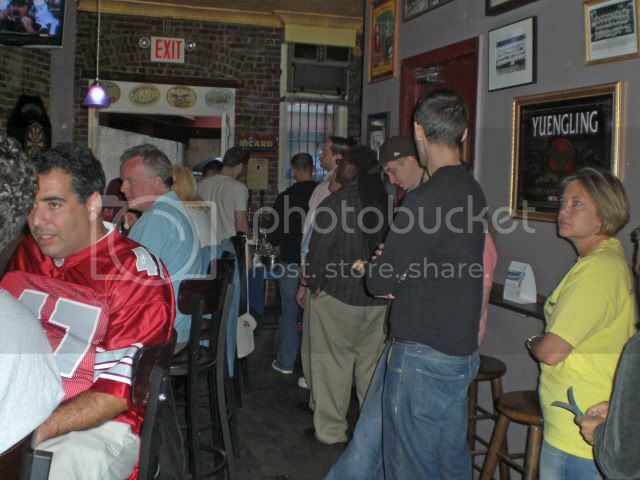 There was already a fairly slow moving line waiting for the clams. 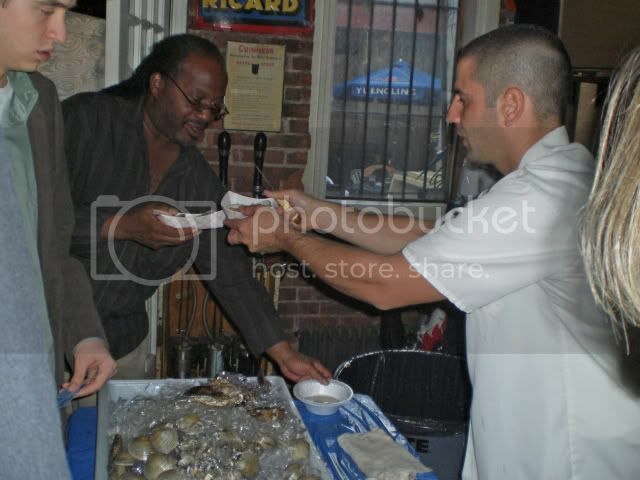 They also had oysters so it was a real raw bar treat. 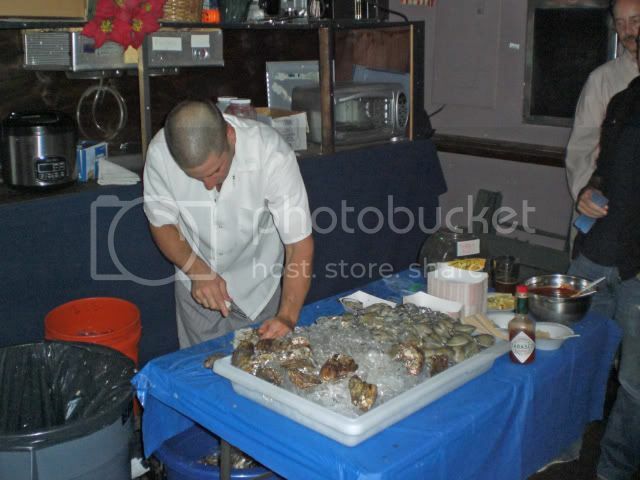 Of course the center of attraction was the shucker, who was certainly earning his keep. He was pretty much working non-stop the whole time I was there. He was quick though, so the line actually didn't move that slowly. It just seemed that way if you were standing in it. 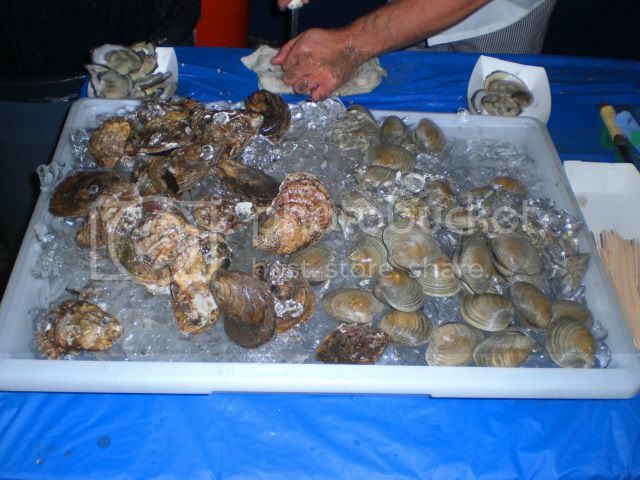 How Many Clams Can A Clam Shucker Shuck? People eagerly grabbed up their portions when they were ready. Sometimes when a bar hosts one of these things the clams and oysters aren't that good, but that was certainly not the case here. 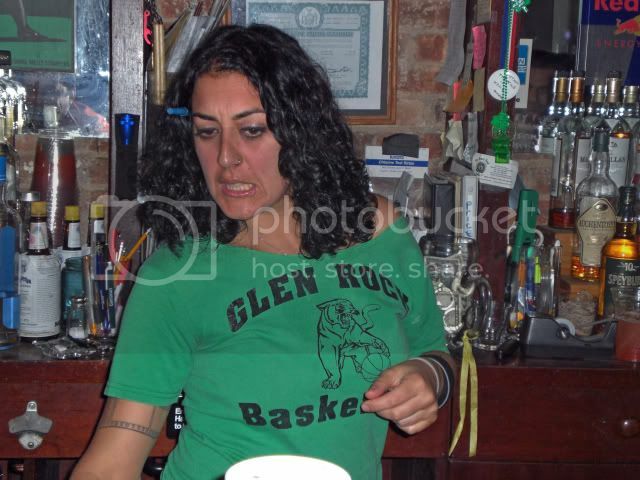 I should have known that because Lou, the manager of The Brazen Head, always runs a decent show. During the summer he used to have a Barbecue With Lou in the back outdoor area and he still has his famous Stew With Lou. 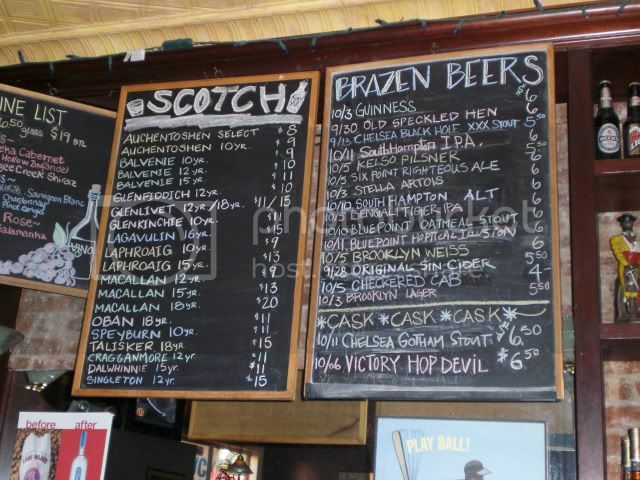 The Brazen Head also has a very decent selection of beers and they usually have a couple of cask ales available. They also have a very nice Scotch selection. 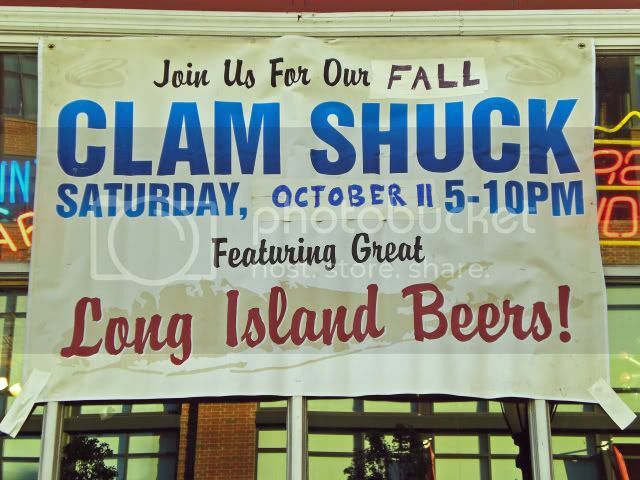 Well, the Clam Shuck was sponsored by Long Island Beers so I figured the least I could do would be to have one. I opted for the Hoptical Illusion, a very hoppy IPA that isn't overbearing and went quite well with the oysters and clams. 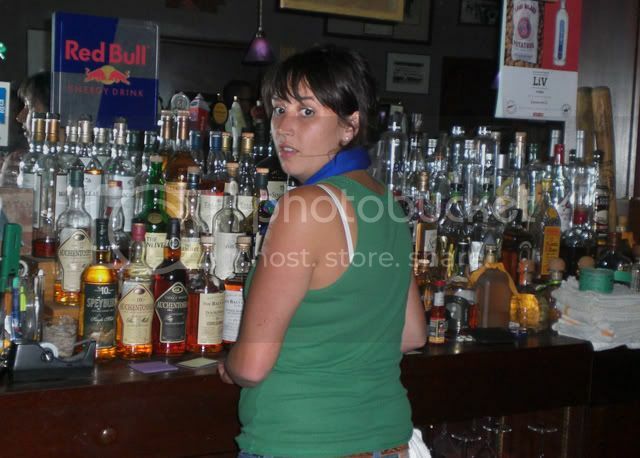 The beers were being very ably served up by the two very busy bartenders, Vikki and Carly. 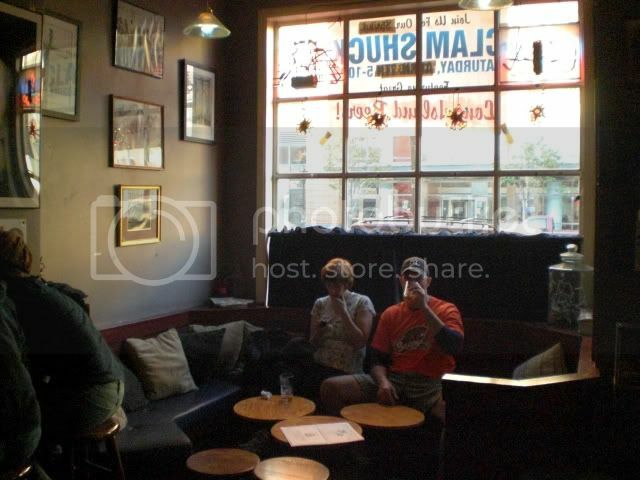 Although the bar was packed you could still get a comfortable seat in a cosy corner of the bar. It was such a lovely evening though that I wanted to sit out in the fresh air. 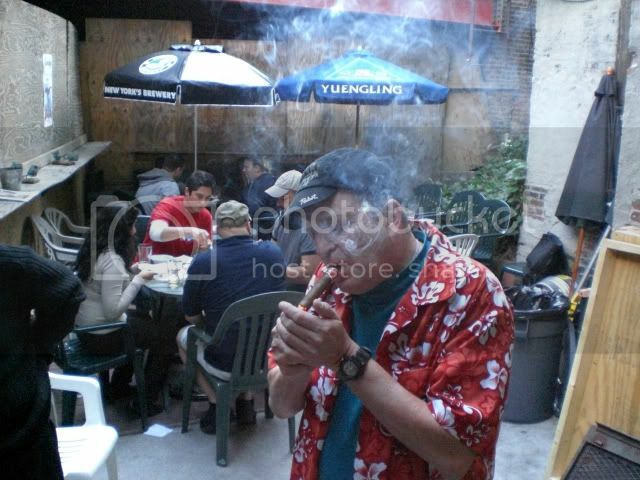 It really was quite nice outside and I don't mind my friend smoking his cigar. He is a Budweiser drinker so I can't begrudge him indulging in something with a bit of flavor. 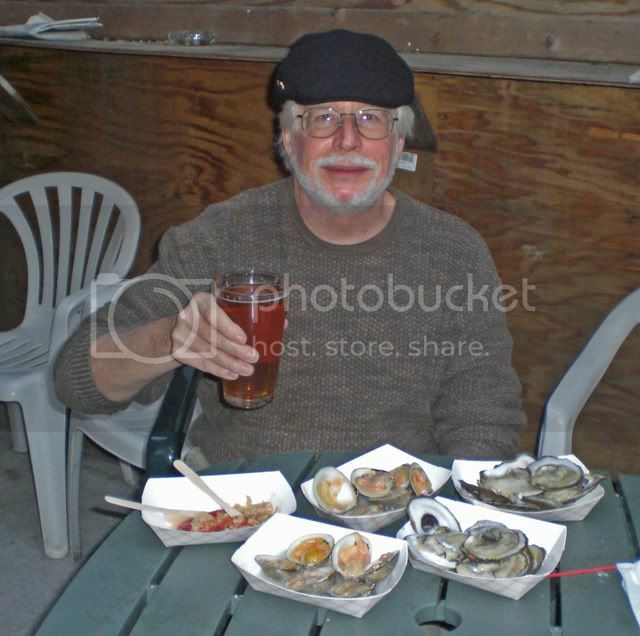 I got a dozen clams and a dozen oysters. At $10 a dozen it was a real steal. At a lot of restaurants these would go for $2 or more each, easily. And they really aren't any better and often times aren't nearly as large. These were delicious. And they slid down easily. I doused them with the sauce that they had prepared with a healthy dollop of horseradish stirred in. Nothing better. The Mysterious Chinese Woman tried one of each but raw clams and oysters aren't really her thing. Lou, however, had that covered. 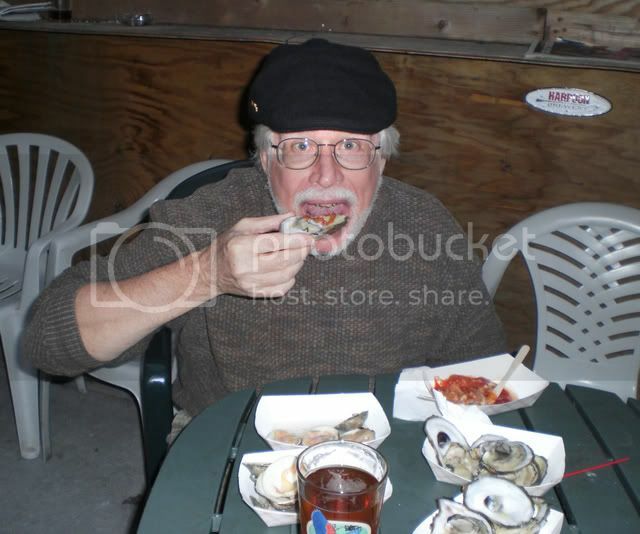 He had both Manhattan and New England clam chowder available, and it was free. You can't beat that. 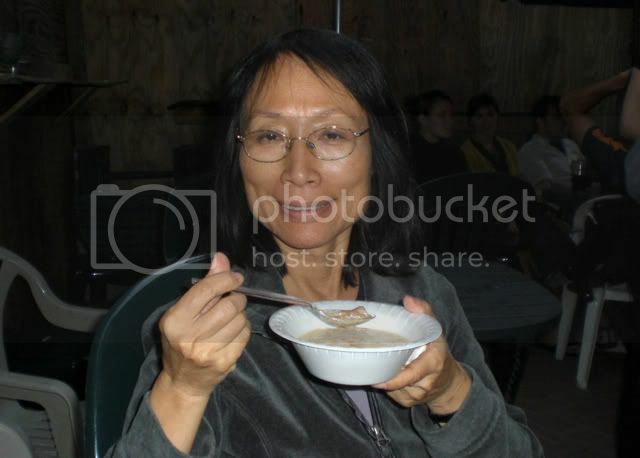 The Mysterious Chinese Woman had a bowl of each and said they were both delicious. As usual we had a great time. There was a friendly crowd and we talked about how our neighborhood had changed over the years with a couple of old timers. To be honest though, I am now one of the old timers. I don't care though, I have always looked forward to geezerhood. I am heading to Minnesota in a couple of days so there probably won't be many, if any, posts until I get back, but what the hell, check anyway. It drives up my hit counter and makes me look popular. Oh, I found out something interesting to day. There is a real medical condition called Palinopsia (Greek palin, again, and opsis, vision) the symptom of which is persistent or recurrent visual images, following removal of the exciting stimulus. In other words, you continue to see things that no longer exist and often don't see them as they actually were.